Jason Moran's 'Ten': The Bandwagon In Its Diamond Year The latest recording from Jason Moran and his trio is called Ten, and this year marks the group's 10-year anniversary. The trio has expanded jazz with elements of hip-hop and electronic music, a mix that critics have hailed as visionary. 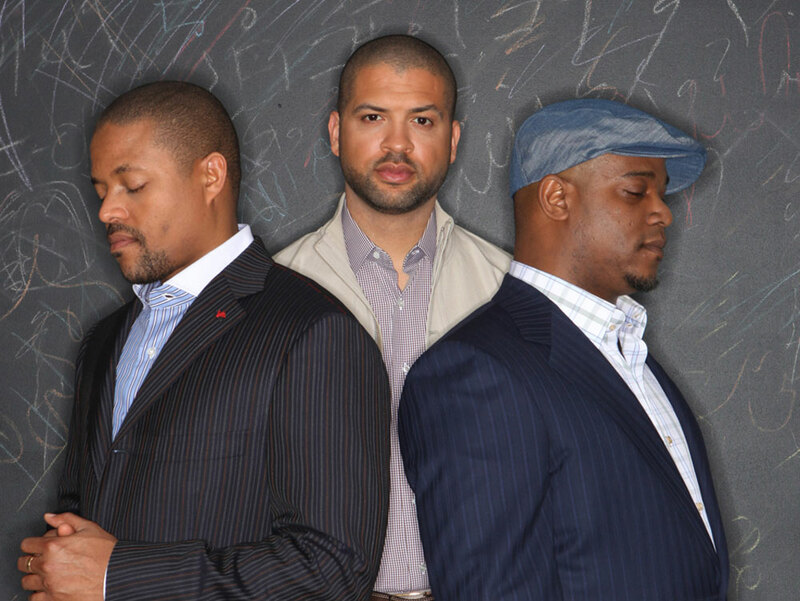 This is the 10-year anniversary of Jason Moran and his trio. Thus, their latest album is called Ten. This year marks the 10-year anniversary of The Bandwagon, a trio led by 35-year-old pianist and composer Jason Moran. The trio has expanded jazz with elements of hip-hop and electronic music, a mix that critics have hailed as visionary. Its latest recording is called Ten. Longevity means something in jazz. Because the music depends on exchange and interplay, bands that stay together for a while tend to have sharper instincts. Right now there's no better illustration of this than The Bandwagon, led by Moran on piano and featuring bassist Tarus Mateen and drummer Nasheet Waits. During a decade of collaboration these three musicians have developed a boisterous style of communication that is unique in jazz. For example, "Gangsterism Over 10 Years" is an update of a Moran original the group recorded early on. It shows how the three seem to think together. The syncopated jabs from the drums align with what Moran is playing. The Bandwagon renovates its share of jazz standards, but reaches its peak grappling with Moran's tricky originals. At times, he writes the musical equivalent of advanced math equations. On previous albums the trio has used sampled textures and even recordings of conversations as backdrops. This time, on a song called "Feedback Pt. 2," they improvise in and around gales of feedback from the guitar of Jimi Hendrix. Moran has a theory about his group. He says it thrives because all three musicians are involved in lots of different projects. In Moran's case, that means film scores and ballet commissions. It's something special when the three manage to get together to record. Making the new album, Moran says, was like hanging out with old friends. The three laughed, drank whiskey and ate BBQ. That's audible, too. Sometimes jazz that's this intricate can make your brain hurt. But with Moran and his crew, even the complicated stuff feels good.